And yes, they were covered in delicious homemade maple syrup... just the way she likes them! 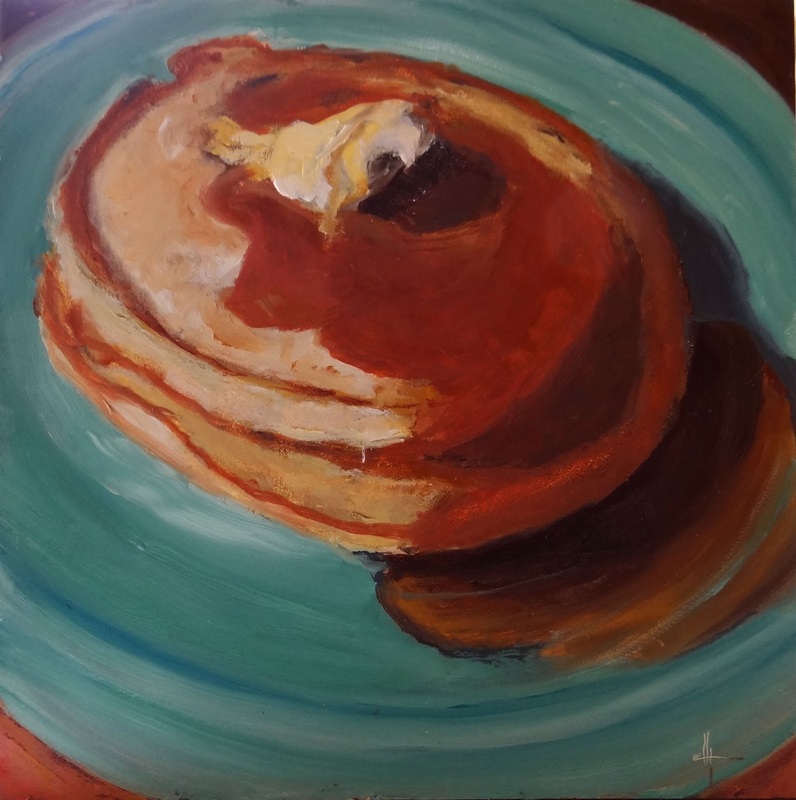 What I like about this painting is the color of the plate and the shadows on the butter. I struggled with the right look and color of the cakes but ended up liking that you can probably tell they are pancakes. Were they funner to paint or eat? Hmmm ... Both.